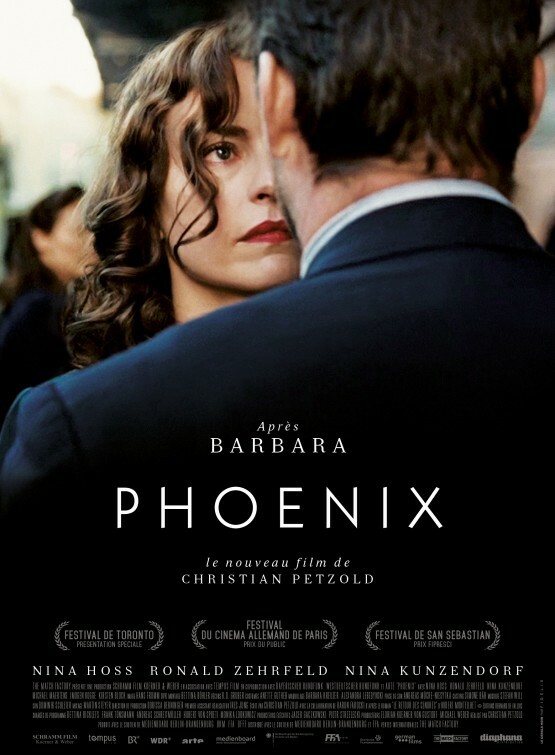 I’ve always held a debatably morbid fascination with what one would call “romanticised” war-time dramas, although something of the premise of Phoenix indicated that this would be a distinctly refreshing (if one could even say that) treatment of a traumatic yet heavily nuanced period of history. Nina Hoss makes this film what it is; a beautiful heart-achingly sad tale of loss, betrayal and rebirth. Her performance of a woman,so broken and diminished, transformed by the horrors she suffered at the hands of her tormentors is mesmerising. Everything from the way she walked, to the hesitance in her speech was so confronting and exquisitely authentic. I remember looking over at my friend once the film had ended, both prophesying an imminent Oscar nomination. The rest of the film was perfectly assembled around Hoss’ performance, brought to life by acclaimed German writer/director Christian Petzold. If I had to use just one word to summarise the treatment of this film it would be “restrained”. It is evident that Petzold wants you to focus on the story being told here; with the design, cinematography and musical score handled so delicately and subtlly that you barely even notice their existence, a distinct lack of showy pomp and pretence. While Phoenix does stylistically flirt with elements of noir, it’s only done so as to enhance the atmosphere as opposed to pigeon hole the movie in to a specific genre. Where The Mafia Kills Only in Summer failed to establish an emotional connection, Phoenix soared. I felt every rejection and moment of desperate realisation in every fibre of my being, as if Nelly’s situation were my own. The connection so emboldened that I would liken it to the emotional equivalent of being stabbed agonisingly slowly by a knife, waves of emotional nausea pulsating through your body. Every now and then the knife twisted and you find yourself dropped mercilessly in to a pit of utter despair – more than once I heard myself unwittingly utter an audible moan of anguish – all of which culminated in a truly poetic and devastating finale. The movie ends and the final scene closes, perfectly timed and scored, the tension created so masterfully that half of the audience let out a peculiar exultation of laughter at the release of it. I felt myself bombarded with a tidal wave of sadness that I almost couldn’t bear and was overcome with the urge to crawl in to the smallest ball possible and sob until I had no tears left in me. This is a movie of enormous depth that succeeds so wonderfully in making you think and feel. Even as I write this I feel the grief rise in my throat; raw, unbridled and persistent. With astounding performances from Nina Hoss and supporting actors Nina Kunzendorf and Ronald Zehrfeld and a style so expertly crafted, this film will stay with me long after the festival has left town.